Applications:F6700 Electromagnetic Flow Meter with new engineering innovations, has all the desired features to ever changing needs of industries like Paper, Cement, Textile, Power, Pharmaceutical, Process, Dairy and Water Management.A perfect answer to almost any application, regardless of size(From 250 MM to 3000MM), F6700 withstands the rigors of industrial demands. Omicron is a family run company founded in 1953. Omicron stands synonymous with Process Control Instrumentation and Solution Provider. The foundation of our company and individual ethical behavior is built on the fundamental principles of integrity, respect, compliance and responsibility. We established ourselves with an objective to provide ultimate solution and satisfaction to cater variety of industrial needs ranging from general purpose to highly sophisticated instrumentation. Omicron has carved a niche for itself as one of the most trusted and well-reputed designer and manufacturer of Process Instrumentation. 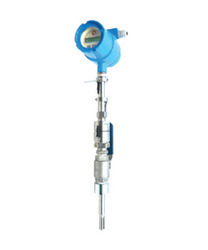 Products manufactured by us have become the benchmark in pressure and temperature measurement and include gauges, thermometers, switches, transducers, transmitters, instrument isolators and diaphragm seals and control and calibration equipment.